Although film and television workers are primarily freelance we are still represented by dynamic organisations across all roles. Raising Films is pleased to be working with unions, associations and guilds to advocate for the rights of parents and carers – working together, we can win! BECTU: The UK’s media and entertainment trade union; sectors covered include broadcasting, film, independent production, theatre and the arts, live events, leisure and digital media. EQUITY: The UK trade union for professional performers. Bringing about fair payments and fees for artists; health and safety regulation; and members’ pension and insurance schemes. THE WRITERS’ UNION: A trade union representing professional writers in TV, film, theatre, radio, animation and video games, negotiating better pay and working conditions for writers since 1959. 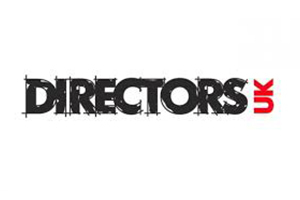 Directors UK: The professional association of directors working with the moving image in the UK. Negotiating, collecting and managing the right to receive payment for the use of their work for all directors in the UK. PACT: The trade association representing the commercial interests of UK independent television, film, digital, children’s and animation media companies.